If you’re looking for a unique gift, stop by Cecil’s Old Mill in Great Mills. The Mill is part of the Cecil’s Mill National Register Historic District along with Cecil Store, the Cecil family home and Old Holy Face Church. Buying a locally made decorative item from one of the many artists and crafters at Cecil’s Old Mill can add a distinctive touch to your home. Today the mill serves as an outlet for locally made arts and crafts of the St. Mary’s County Art Association. It retains its water wheel and includes a display of artifacts. Cecil’s Store and Post Office is now Cecil’s Country Store selling antiques and collectibles. 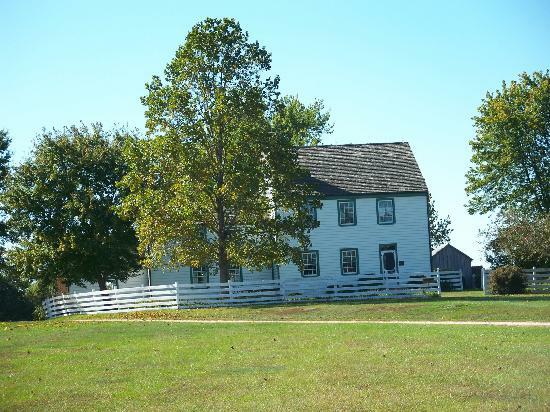 Featured on “Maryland Civil War Trails: Escape of an Assassin,” the house and farm commemorate the life of Dr. Samuel Mudd, the physician who treated the injured leg of John Wilkes Booth after he assassinated President Abraham Lincoln in April of 1865.